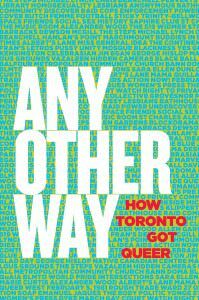 Any Other Way: How Toronto Got Queer provides an illuminating look into the multi-faceted history of queerness in Toronto. From a peer into the formation of the Unity Mosque, to an exploration of one of the world’s largest lesbian hockey leagues, each story presents moving anecdotes and historical accounts surrounding the people, places and spaces that make up Toronto. When brought together, the anthology sheds a candid light on the wide and colourful history of the city’s marginalized communities.